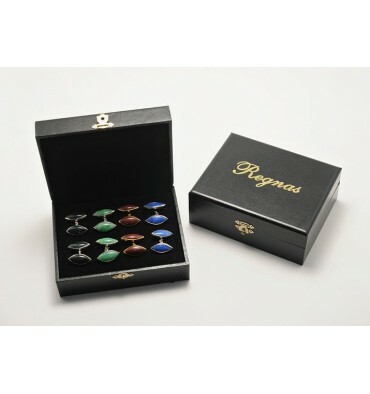 CUFF LINKS FOUR PAIRS OF YOUR CHOICE OF FABULOUS REGNAS DOUBLE OVALS. A MEMORABLE GIFT FOR THAT VERY SPECIAL OCCASION. Your choice of any 4 pairs of super double ovals that we stock in silver or gold plated silver. The pack includes a special and useful case. The top layer display of 4 pairs is removed to reveal a large cuff link storage area beneath. We are here to answer any questions you may have. I think you will find this is one of the most welcome gifts a man (O.K. or woman!) could receive. Dispatched within 4 days or order. Free, Worldwide registered delivery includes a smart gift case, full insurance and our 30 day replace or refund warranty. 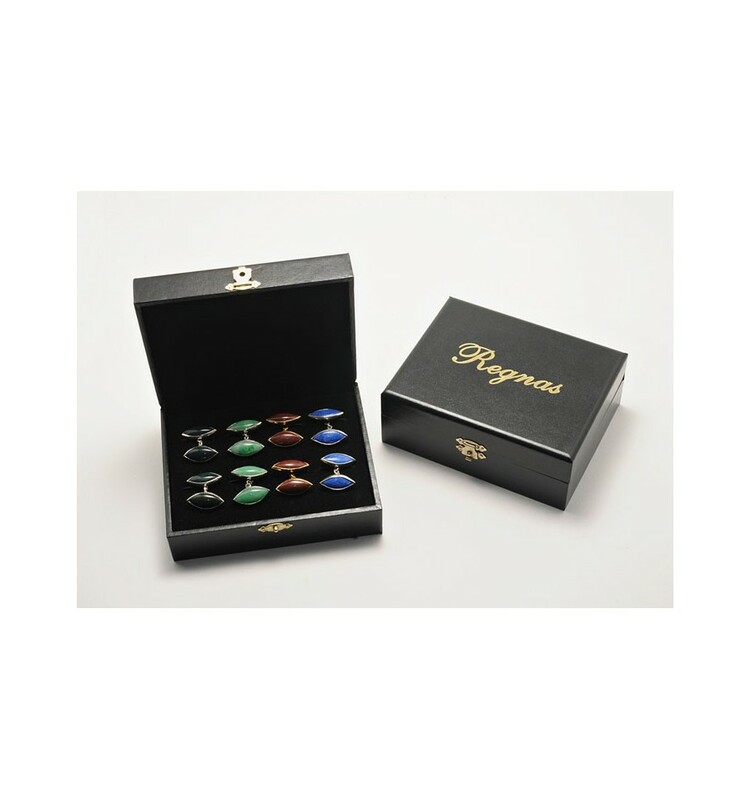 The same offer and same price applies to the super double lozenge cufflinks.